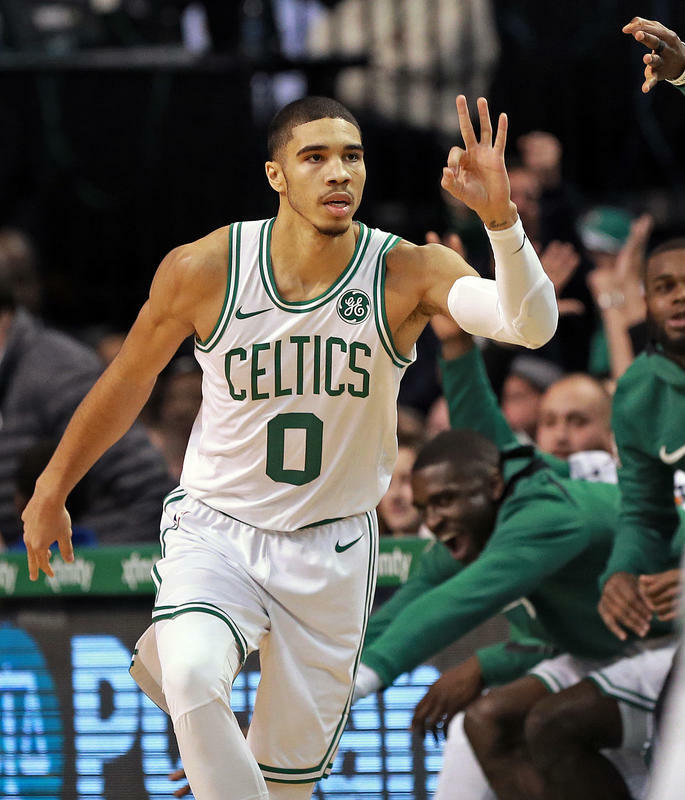 In Sundays Celtics game against Charlotte, Jayson Tatum had some early misses and shot only 6-of-16 for the game, but he did what every fine shooter should do - he kept firing away. And it worked. Kobe Bryant was right on this one. Jayson did what every fine shooter should do after several misses - namely, keep shooting. Kobe Bryant told Tatum to fire away, and that is what he did. With 11:08 remaining in the second quarter, Jayson got on track. First a jam after a long, hard run and a feed. Then a no-hesitation swisher beyond the arc. Same thing once again - and the ball was hardly touching the twine. Another layup, followed by a third 3-point swisher and he was good for 13 points in three minutes and 18 seconds. Tatum's two layups in that sequence came from beautiful feeds by Terry Rozier, and with Kyrie Irving (rest) not playing tonight against the Cavaliers, we may see more of that. The three treys just resulted from firing away with no hesitation, resulting in the Charlotte defense having trouble getting coverage on him. The fact that T-Ro keeps improving can not be minimized - Brad Stevens has stated that Terry needs more floor time - and that may be part of the reason for Kyrie sitting out this one.